So, it is time for you to buy a home. FHA has become a name synonymous with first time home buyers in the United States, but many some things about FHA home mortgages may not be true, so we will explore this in this article. Maybe you are tired of paying rent, or maybe you need to move into a larger house. Whatever the reason, the FHA loan is a very good option for people who may have less than perfect credit to get a home loan. The FHA home mortgage has been helping home buyers find affordable financing in the U.S. since 1934. #1 You Have to Put Down a Big Down Payment. Wrong. The minimum payment for most conventional home loans is at least 5%. A down payment of 20% is standard. This makes people think that you have to put down a lot of money to get an FHA loan to buy a home. In reality, you can get a home loan through FHA for as little as 3.5% down. Even better, FHA loan down payments can be funded by a gift from a friend or family member, so you can get into a home with little money out of your pocket. There also are some state and local government grants available that can be used for down payment help with FHA loans. Find out how much of a home can you afford with FHA loans. Who told you that, anyway? That is not true at all. It could be that people assume that rates on FHA mortgages have to be high because they issue loans to people with average or poor credit. What people forget is that FHA guarantees the loan against default. If you do not pay the mortgage, the lender forecloses, and FHA reimburses the lender for a large amount of the outstanding balance. That’s the reason that FHA mortgage brokers are willing to keep interest rates low. How low? Oftentimes the rates are lower than conventional loans. Currently there are FHA loans available for 30 years at less than 4%. See Today’s FHA Mortgage Rates. That type of low, low rate makes a home affordable to many Americans. Nonsense. 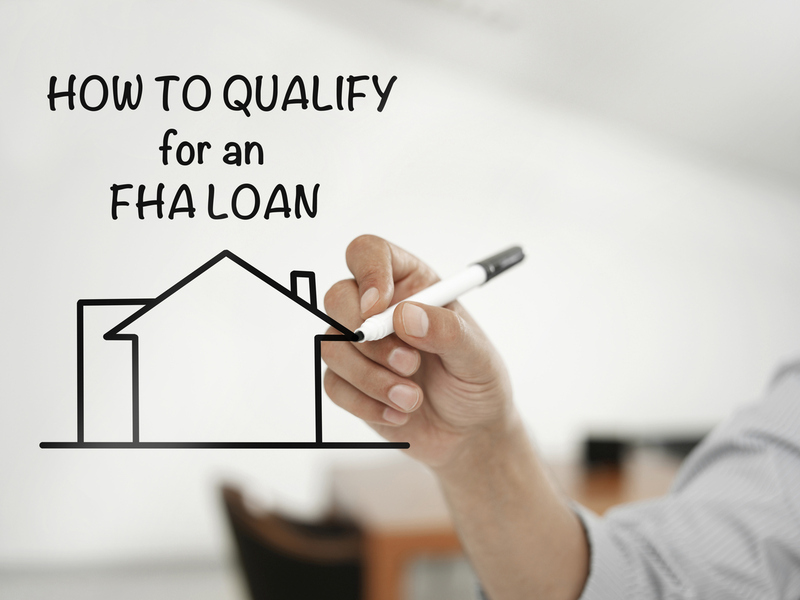 You would be surprised how flexible FHA qualification criteria can be. You can technically have credit as low as 500 and still get an FHA loan. It will be harder, but it is possible. For borrowers who have a credit score of at least 580, you may be able to get a 3.5% down payment as well. For those with 620 or higher credit scores, getting an FHA home mortgage is actually quite easy. The most important thing that FHA wants to see is not perfect credit. It mainly wants to see that you are back on a financially sound footing, and have the income to pay the mortgage and your other bills. If so, you could very easily buy your own home sooner than you think. Incorrect. You can get a duplex or a triplex with an FHA loan. The only requirement is that you live in the property yourself. The FHA home mortgage is not for investment properties that you are not living in yourself. Actually, you can get FHA home financing with the cost of repairs built into the mortgage. You can finance as much as $25,000 worth of home improvements through a 203k loan. However, you will need to check if your lender offers 203k loans. Not every lender has this option. In reality, approved FHA loan lenders have different programs and different lending criteria. FHA allows lenders and brokers to have a certain amount of flexibility in what they offer consumers. Some FHA lenders may be willing to take on more risk and will accept lower credit borrowers. Others may want only buyers with higher credit scores. It comes down to the risk the lender and its mortgage investors are willing to accept. Closing costs will vary from lender to lender and state to state. It is true that some costs are relatively the same everywhere, such as the fee to pull a credit report. But you will find some variation in closing costs. And of course, closing costs are higher for higher mortgages. You do now. Under current rules, you have to have mortgage insurance for the life of the loan, regardless of your equity in the property. That’s the reason that some people like to refinance out of an FHA loan once they have 20% equity in the home. FHA loans are great for first time home-buyers. But they are great for a lot of people who don’t have 740-credit! Don’t think that you have to be a first time buyer to get a loan insured by the FHA. This government program even offers a FHA refinance with cash out for qualified borrowers. Check out FHA first time home buyer loans. This is one of the most annoying myths ever in the mortgage business. Whoever said you cannot get a mortgage for seven years after declaring bankruptcy or suffering a foreclosure needs help! It is true that those negative credit marks stay on your credit report for seven years in many cases. But you can easily get an FHA loan within two years of a bankruptcy. If you want an FHA home loan, remember the above items are myths! FHA loans are easy to get and are a great deal for many Americans. Uncover new programs for FHA home loans with bad credit. Have you been paying rent for years with bad credit? You may believe that you have no choice but to continue to pay the mortgage of your landlord. But what if the dream of home ownership is more possible right now than you thought? With FHA home loan loan programs available from the federal government, people with average to poor credit scores may be able to get into their own home faster than they think. The flexibility of FHA loans is because of a simple reason: These loans are backed and guaranteed by the Federal Housing Administration. What do we mean by ‘backed’? It simply means that if you do not pay the mortgage, the federal government through the FHA will reimburse the lender for most of the loan balance. This is important because the loan guarantee allows lenders to offer lower credit standards on FHA home loans than they would otherwise be able to. Today, it is theoretically possible to get an FHA home loan with a mere 500 credit score. This is a bad credit score, and many FHA-approved lenders may not be willing to talk to you. But if you talk to enough lenders and you have the income to support the loan payment and your other debt payments, you may be able to stop paying rent and buy a home. Of course, a higher credit score will make getting the loan easier. FHA standards for 2017 require all borrowers to have a certain credit score to qualify for a 3.5% down payment on a loan. Those who have lower than the minimum have to put more money down. But lenders vary within the minimum standards set by FHA on what they will allow borrowers to have in terms of credit scores. There are thousands of FHA-approved lenders in the US. These include both banks and mortgage companies. They are not required to follow FHA rules to the letter on credit scores. Some will require higher than FHA minimum credit standards, and some may be more flexible. What Are FHA Loan Credit Score Minimums? Generally, approved FHA lenders want to see a credit score of 620 to 640. But it is possible in 2017 that the minimum score in practice could change this year due to changes with FHA policy. The current FHA policy has been to compare an FHA lender with other lenders in their general region of the country. This is called the ‘compare ratio.’ If the lender had 150% more loans that were paid late than other lenders in that region, it could be removed from the approved FHA mortgage lender list. This policy caused trouble for many lenders. If some lenders in a region had tougher standards and had a lower rate of late payment, other lenders could be made to look worse. So, theoretically, FHA could shut down a lender because a lender across town increased its minimum credit score from 620 to 640. This led to escalation of standards that could leave some poor credit borrowers out in the cold. Lenders would raise their minimum credit score higher than competitors. This policy essentially counteracted the FHA mission to provide more access to buying a home for people with damaged credit. The approved FHA loan lender is not risking losing its ability to issue loans if it has lower credit score loans that are performing similarly to other loans in the same bracket. Also, the comparison is now down across the nation and not just in that lender’s region. This new FHA credit policy only was introduced this year, so it may take some time for FHA lenders to enact it. But many people who are still renting and have a low credit score will soon have more options available to them for getting a home loan. We anticipate that this updated credit score policy for FHA home loans will help thousands of renters who were previously locked out of buying their own home. If you are shopping for FHA home financing and have low credit, we recommend that you get several loan quotes. 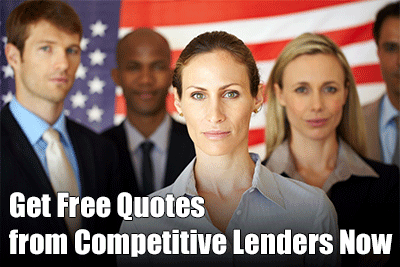 The more lenders you contact, the more likely that you will find a lender who will give you a good deal.